Your fingers thump the keyboard or your pen digs into the paper as you pour out your anger, disappointment, annoyance, rage, concern — whatever emotion it is that has propelled you to write to complain. You finish writing, press send and sit back to wait for the response, which may or may not be to your satisfaction. Putting some forethought and preparation into a complaint letter will raise the chance of you getting the kind of response you want. If you realise that you just want to have a good rant, maybe you could think about what would be gained from writing this letter. Instead of writing, you could vent some of your feelings (indeed, you probably have) by entertaining friends and family with an imitation of the incompetent person who is the subject of your scorn, or a blow-by-blow account of the indignities and inconveniences of your train or plane journey. A name is much more effective than a generic Sir or Madam (a greeting which seems to look more and more outdated). It’s not always easy to find the appropriate person through a company’s website as some firms like to hide contact details but if the contact information is not readily available then try the Sitemap which should be listed in small type at the bottom of the website in the footer. Check through the Sitemap for areas such as: Company, Contact Us, Corporate Information, FAQs, Help, Media (which should give you contact details for the press office, if there is one). If you are in doubt, find a phone number (preferably a free one) and make a call to ask for the name of the chief executive/person who is in charge of delivery/department manager etc. Say what you are complaining about, and what you would like to happen. Don’t just ask someone to look into the matter, ask for a response. If you want a meeting with someone, say so. Don’t get carried away with a narrative. Leave out irrelevant details. Make it easy for the person reading to understand the situation. Include any photographs or other evidence that support your complaint. Make clear the nature and extent of any inconvenience, discomfort, distress caused. If appropriate, give specific details. Don’t go off-piste into rant territory. Refer to people by name or role only. Hold back on the derogatory adjectives. Resist the urge to add cutting descriptions. A bit of humour can soften people and win them over, but it can be dodgy when you don’t know your addressee personally. If your light quip lands on the desk of Mr or Ms Sense-of-Humour-Bypass you might weaken your case. If this is a situation which is over and cannot be repaired, just say that you felt so strongly about the occurrence that you had to write. Make clear that you realise that nothing can be done. If appropriate you could add that you hope your observations will stop it happening again. You might be taking up a complaint with your children’s school, or a company you do a lot of business with, or a shop or manufacturer you frequently use, or a club you belong to, or your medical practice, or a restaurant you enjoy going to. In this kind of case in particular, you want to ensure a cordial relationship will continue when the matter has been dealt with. You can set this up by beginning and ending your letter in a way which indicates a positive attitude. At the beginning of your letter, use a word like ‘reluctant’ or ‘sorry’. Refer to your normal level of satisfaction with the service you receive. Reluctantly, I am writing to complain about our recent service, which fell far below your usual good standard. At the end of your letter, refer to the good relationship you have. Get someone who can spell to double-check your letter. Do this even if you have used a spell-check. Spell-check programs are only human. Well, you know what I mean. Pause before you send it. 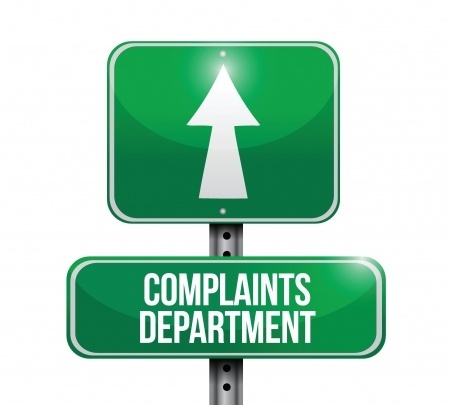 If the subject matter of your complaint is delicate, you might like to wait a day. Wait for a very long time if you were drunk, hungry, angry, tired, in a bad mood with someone else when you wrote the letter. Sometimes things settle in your mind. Sometimes circumstances change. A great example of this is Hello Muddah Hello Faddah, comedian Allan Sherman’s novelty song of 1963 based on letters he received from his son at camp. You are so right, young sir. Some letters should be disregarded, or not sent at all.